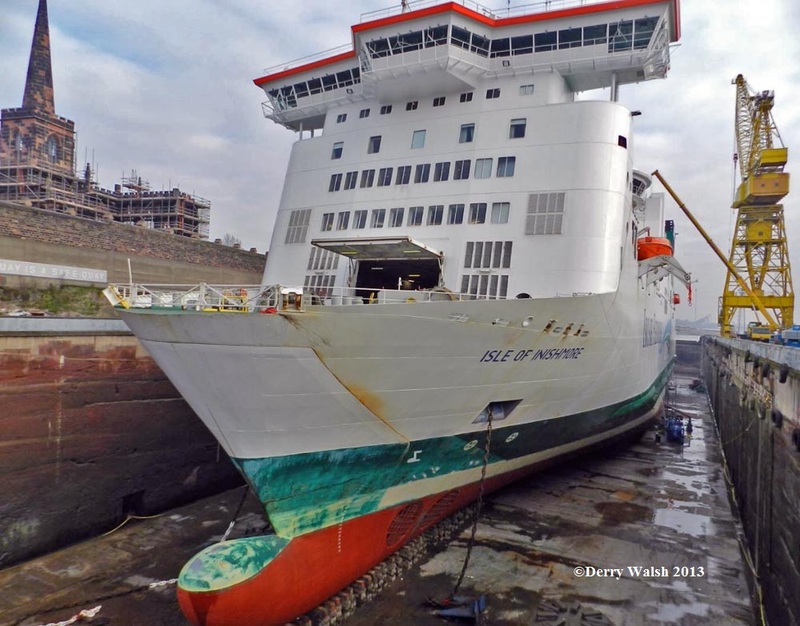 News:Welcome to the Irish Ferries Enthusiasts forum. I noticed there was'nt already a thread like this as we have for the other operators. Ulysses has left for its anual refit and Dublin - Holyhead service is currently being operated by Isle Of Innismore. 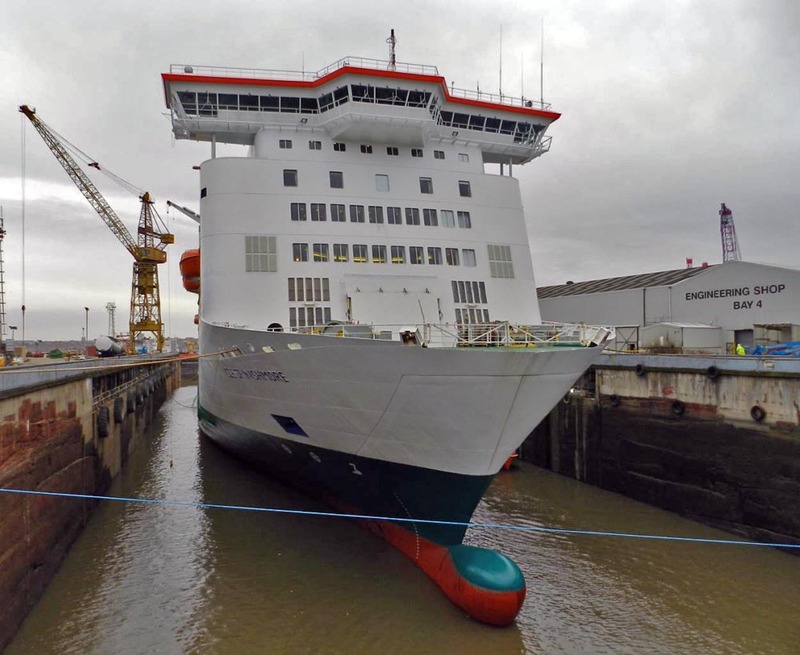 Oscar Wilde is operating the Rosslare - Fishguard service until Isle of Innismore returns from both cover for Ulysses and its own refit , and will then go for its own refit before returning to the Ireland - France service. Ulysses is now back from refit and the Isle of Inishmore and johnthan swift are in liverpool. The Oscar Wild should be covering the Pembroke- Rosslair crossing until the Isle of Inishmore is back on th 25th i think. Oscar Wilde is now back in service after repairs due to a generator fire last month. Below from www.shipspotting.com , the Oscar Wilde passing Liverpool Docks on her way for refit. 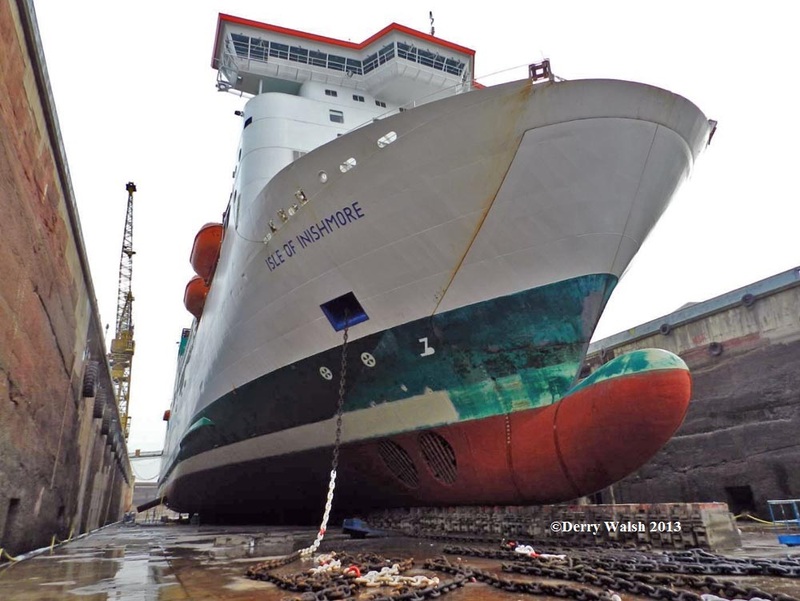 The Ulysses is currently in dry dock in Cammel Laird. 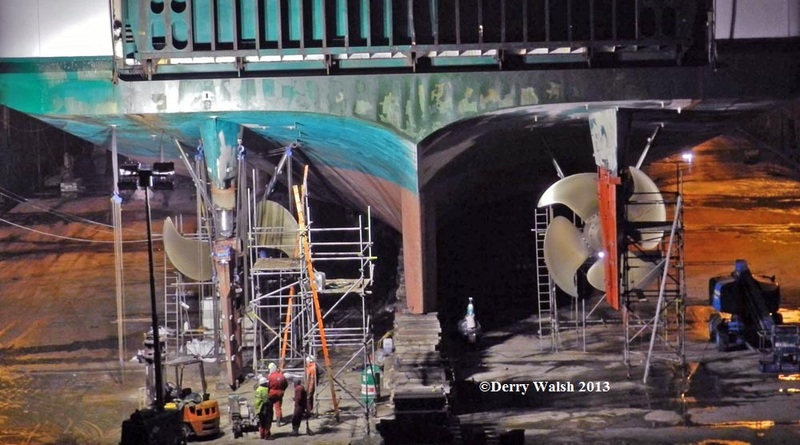 More images of the vessel arriving at drydock here. Isle of Inishmore returned to service last night on the Rosslare-Pembroke service. Oscar Wilde due to head for the Lairds later today. 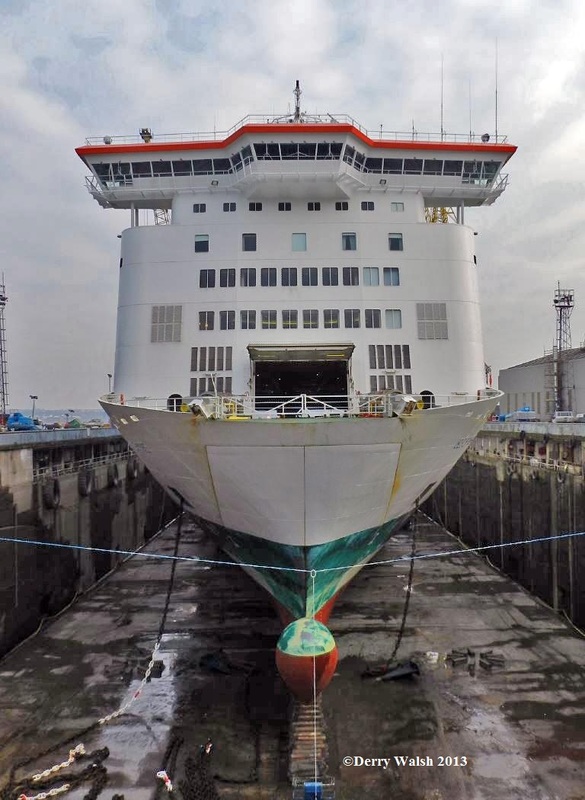 All of the Irish Ferries fleet have now overhauled and returned to service. Am I reading this right that there are still passengers aboard Oscar Wilde? That would be very odd as I dont see any reason they can not disembark via the passenger gangway and reclaim their vehicles when engineers get the doors open. Irish ferries regrets to advise that the 21.30 ex Rosslare Oscar Wilde sailing on Wednesday 13th Mar 2013 has been cancelled due to technical reasons. Our next scheduled sailing to Cherbourg is on 15 Mar 2013. Would seem to indicate that the vessel can't sail from Cherbourg tonight? 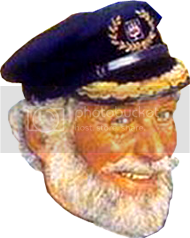 The problem in the bow door could be minor , but no captain on the Irish Sea will put to sea unless he is 100% certain of the bow door. Rosslare Cherbourg 1800 hrs Sunday 17th March, 2013. Irish Ferries regret any inconvenience caused to our customers by these cancellations. can anyone shed any more light on what caused this and what the damage is? Would guess that the technical fault with the bow doors requires a part that is not immediately available and they have to wait for the part.